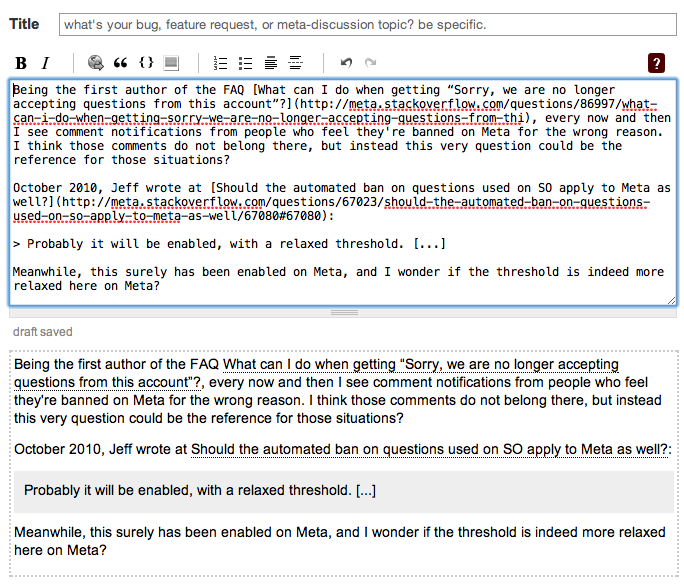 What markdown formatting features are available for Bounty remarks? According to the community FAQ, backticks and inline links are available for the bounty remark. 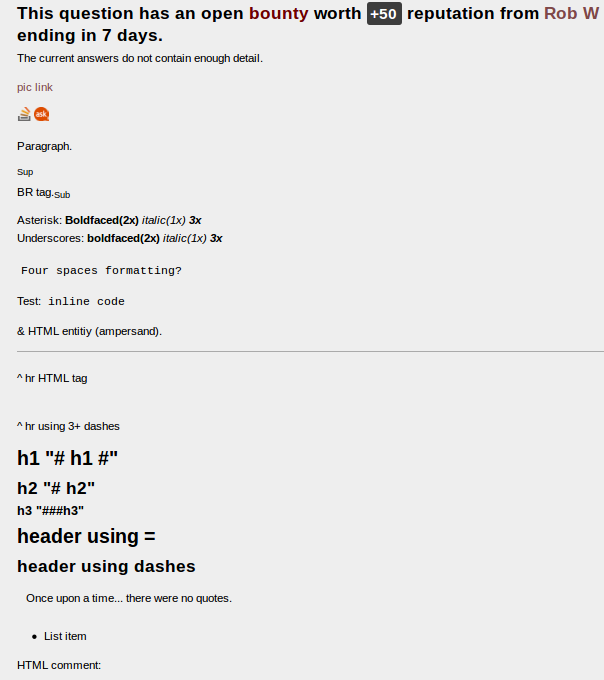 What other formatting features of Markdown are also supported on Bounty remarks? And just like in comments: line breaks are not rendered. Not the answer you're looking for? Browse other questions tagged support status-completed bounty markdown . When did Stack Overflow start advertising for Wikipedia? How do I make a URL appear in a bounty? Will previous badges for the same question be removed as voting increases?